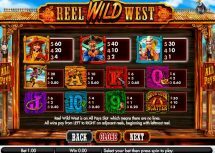 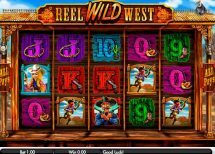 Reel Wild West slot from Gamesys has a RTP of 91-95% with 243-ways to win. 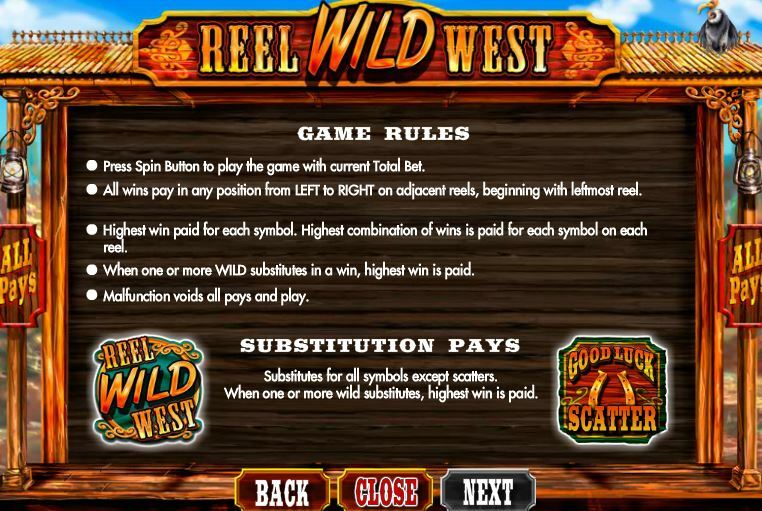 Wilds feature on reels 2, 3 and 4 and the theme is obviously the Wild West. 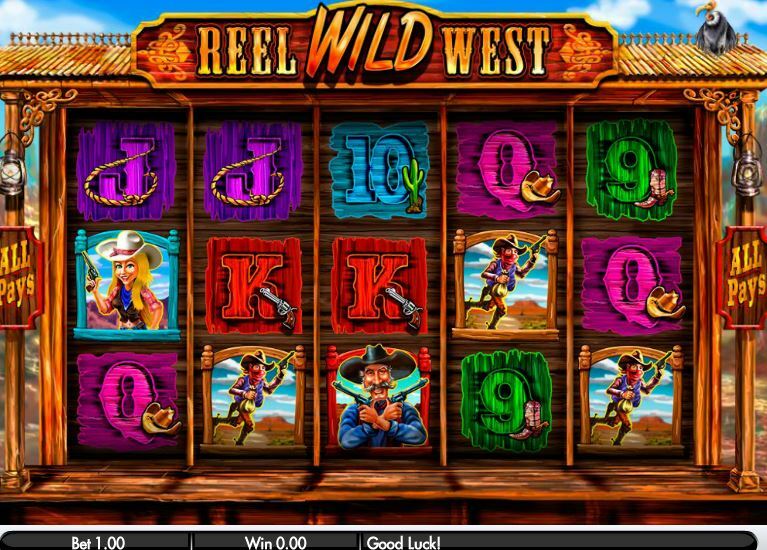 The game is quite simple with 3 horseshoe scatters anywhere triggering the free spins which can retrigger. 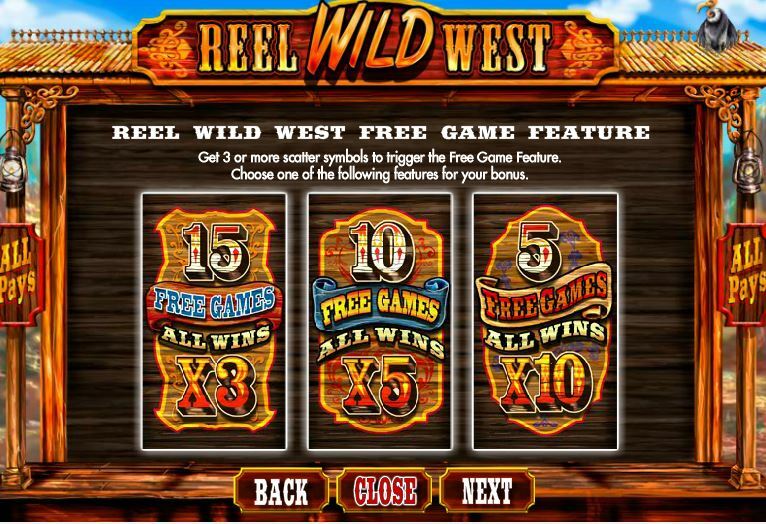 You choose 5 spins with 10x multiplier, 10 with a 5x multiplier or 15 with a 3x multiplier. 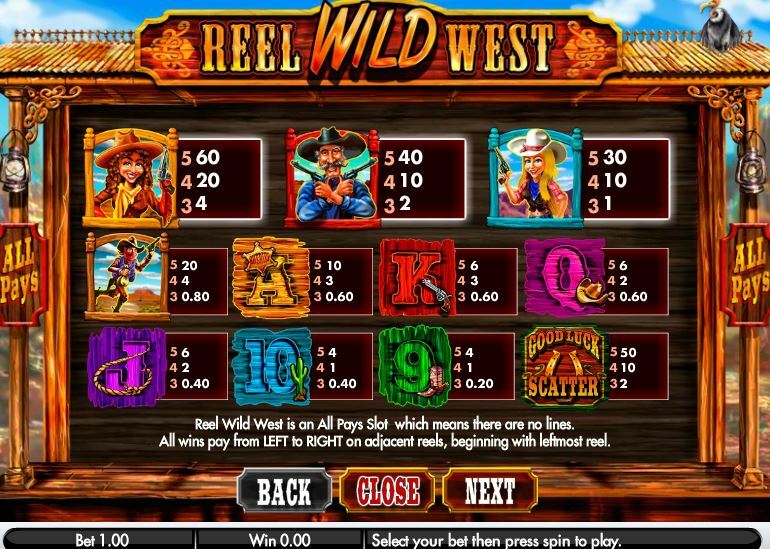 No stacked symbols but decent pays for the highest 5-of-a-kinds.